I'm going to be honest with you all: last time I was in Paris, I really wanted to take a day trip to Brussels, but I was too insecure and afraid to travel alone. This time around, after facing my fears and having conquered London and Paris as a solo traveler, there was no excuse for me not to visit Belgium. To be quite frank, I really don't remember much about the history of Brussels or the importance of any of the monuments I saw. 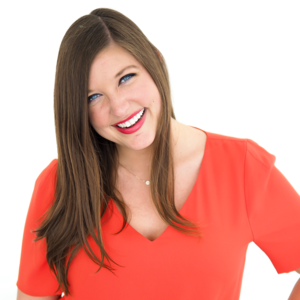 During my walking tour, I was mostly distracted by the pouring rain and how hungry I was. 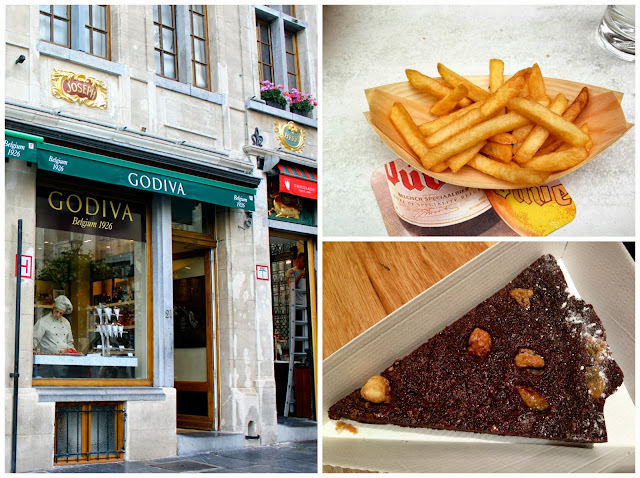 Every street I strolled down emanated the mouthwatering scents of fresh Belgian waffles, savory fries and sweet melted chocolate. I can say with absolute certainty that Brussels is the most delicious smelling city I've ever visited. I imagine it to be exactly how Willy Wonka's Chocolate Factory smells. 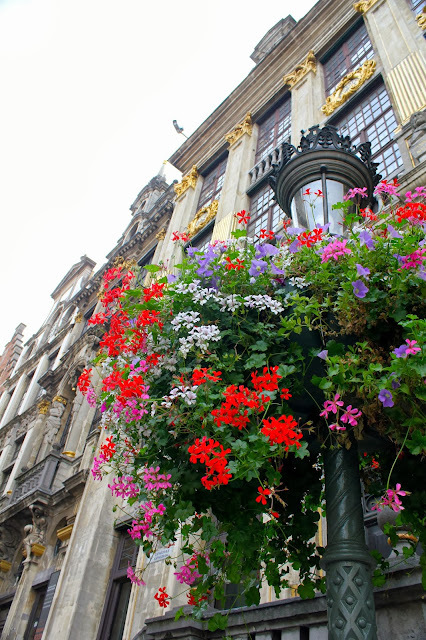 That within itself is worth a visit to Brussels. Needless to say, the highlights of my day trip to Brussels were finding gluten free Belgian chocolate cake, stuffing myself with fries (do not call them "French" fries there... the people of Belgium take full credit for inventing these greasy, addictive treats), and making many trips to charming chocolate shops with arguably the best cocoa I've ever tasted in my entire life. 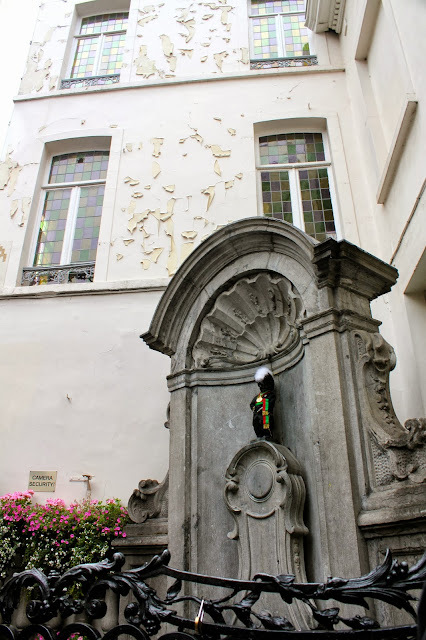 When I wasn't stuffing myself with ridiculously unhealthy snacks, I got lost in the stunning architecture of Grand Place/Groote-Markt, explored the quaint shops within the city center, and admired the unique street art that adorns otherwise barren buildings. Voluntarily sacrificing one day in Paris is a very big deal to me, but I can say without a doubt that taking a day trip to Brussels was well worth it.